Jay Janner / AMERICAN-STATESMAN/Austin American-StatesmanAntennae at the SpaceX South Texas Ground Tracking Station in Boca Chica on Wednesday November 8, 2017. BOCA CHICA -- More than three years ago, SpaceX founder Elon Musk gathered with state leaders at this remote South Texas beach to trumpet it as the future location of the world’s first commercial spaceport. But so far, the only liftoffs from the shifting dunes are being achieved by seagulls and pelicans. SpaceX — the Hawthorne, Calif., company started by the Musk with the aim of reducing the cost of space travel and one day facilitating the colonization of Mars — still counts the Boca Chica site in its plans. The company installed two large tracking antennas at the location this year, perhaps the most tangible indication yet of its intended purpose as a launch point for commercial satellites and, eventually, exploration of the solar system. 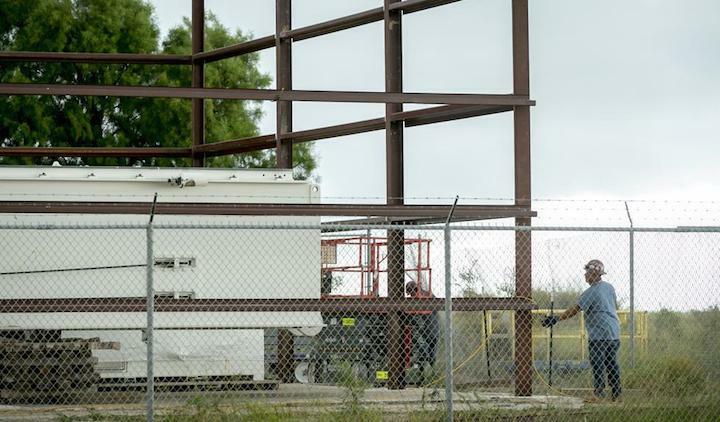 But progress on the Boca Chica facility — in which Musk vowed SpaceX would invest $100 million and initially predicted could be sending up rockets by late 2016 — has been slower than either SpaceX or state officials envisioned when it was announced in 2014. The state has pledged a total of $15.3 million in incentives to the project, although SpaceX has returned a small portion of the state money it has received so far because it hasn’t met early job-creation goals. The slower rate of progress is partly the result of difficulties building on the beach after bedrock turned out to be deeper than expected and the water table turned out to be higher than expected. That prompted SpaceX to bring in hundreds of thousands of cubic yards of new soil to stabilize the site to support future structures. Other slowdowns have been caused by the company’s focus on more pressing issues after one of its rockets exploded in 2015 shortly after liftoff from a leased launch pad at Florida’s Cape Canaveral Air Force Station and another exploded on the pad in 2016, temporarily grounding some of SpaceX’s commercial operations both times. Most recently, SpaceX has said the first blast-off from Boca Chica could take place by the end of 2018. Spokesman James Gleeson reiterated that goal in a recent interview — although he added a caveat. Progress has been slow at the future commercial spaceport, but the company still counts it in its plans. Work on the spaceport is expected to pick up in early 2018, SpaceX has said. Boca Chica is in Cameron County, about 20 miles east of Brownsville at the southernmost tip of Texas, where Texas Highway 4 dead-ends into the Gulf of Mexico. A small housing development, called Boca Chica Village, is nearby. According to state documents obtained by the American-Statesman through an open-records request, the deadline for the Boca Chica spaceport to become operational or potentially lose more of the state incentive money pledged to it is less than a year away — on Sept. 30, 2018. The agreement also requires that 120 people be employed by the facility by the end of this year, 180 by the end of 2018 and 300 by the end of 2024. Only a handful of people were working at the location during a recent visit by the American-Statesman, however, and there was little to distinguish it amid the windswept landscape as the future site of a cutting-edge launching point for space exploration. Aside from the two tracking antennas brought in this year — which aren’t yet operational — the most notable structure was a large platform of compacted soil, set off by fencing and a “SpaceX Launch Site” sign. Across the highway, the metal framework of what appeared to be a storage building was being erected around some heavy equipment. The spaceport has been viewed by state and local Cameron County leaders as the linchpin to establishing South Texas as a hub for an emerging private U.S. space industry in an era of NASA budget cuts, and former Gov. Rick Perry was on hand for the ground-breaking ceremony in September 2014. At the time, the Brownsville Economic Development Corp. estimated SpaceX would create 500 jobs over 10 years with an annual payroll of more than $51 million. Musk — a billionaire serial entrepreneur who also started electric-car maker Tesla and is known for bold statements and futuristic pronouncements — said during the groundbreaking that rockets launched from Boca Chica would carry commercial satellites at first but eventually could be critical to establishing a human presence on Mars. SpaceX’s formal name is Space Exploration Technologies Corp.
“It could very well be that the first person that departs for another planet will depart from this location,” Musk said at the time. The rate of progress at Boca Chica since then isn’t necessarily a surprise to some SpaceX observers, however, because both the company and Musk have reputations in the aerospace industry for issuing ambitious timetables that often are revised. Still, Musk does have a track record of eventually accomplishing many of the goals he sets — such as when SpaceX made history this year by relaunching into orbit and then successfully landing a booster rocket that it had flown before. The feat marked a milestone because the company views reusable rockets as the key to lowering the cost of space flight. “I wouldn’t doubt (Musk) in the end,” Ostrove said, although he said he hadn’t heard anything specifically about SpaceX’s latest Boca Chica plans. Texas beat out Florida, Georgia and Puerto Rico to win the future spaceport. The state pledged $2.3 million from the jobs-focused Texas Enterprise Fund and $13 million from another state incentive fund called the Spaceport Trust Fund, in addition to millions more in various tax incentives committed by local governments nearby the proposed launch site. SpaceX received its first payment from the state’s spaceport fund — routed through the Cameron County Spaceport Development Corp. — this year, totaling $2.6 million and intended to help pay for infrastructure, such as the tracking antennas. A worker frames a building at SpaceX in Boca Chica on Wednesday November 8, 2017. To date, SpaceX has paid back about $81,000 of the $400,000 in incentives money it initially received from the Texas Enterprise Fund because it didn’t meet hiring goals for either 2015 or 2016. Under the incentives agreement with the state, the company was supposed to have created 60 full-time jobs related to the site by the end of last year, but it had created only 10, according to documents obtained by the American-Statesman. Support for the project continues to be solid among state leaders and local Cameron County officials, however. Cameron County Judge Eddie Treviño, Jr. said he doesn’t consider the spaceport behind schedule because his understanding of SpaceX’s plans since he took office in November last year has been that the first launch wouldn’t take place until late 2018. But Treviño also said he wasn’t aware that SpaceX had fallen short of its hiring targets, noting that Cameron County isn’t charged with monitoring job creation at the site since the company’s job-related incentives come from the state. Cameron County has granted a $1.8 million, 10-year property-tax abatement to SpaceX, he said. He said he’s confident “we are going to see launches taking place from Cameron County” eventually. According to SpaceX, he and others won’t have to wait much longer for an increase in activity at the future spaceport. 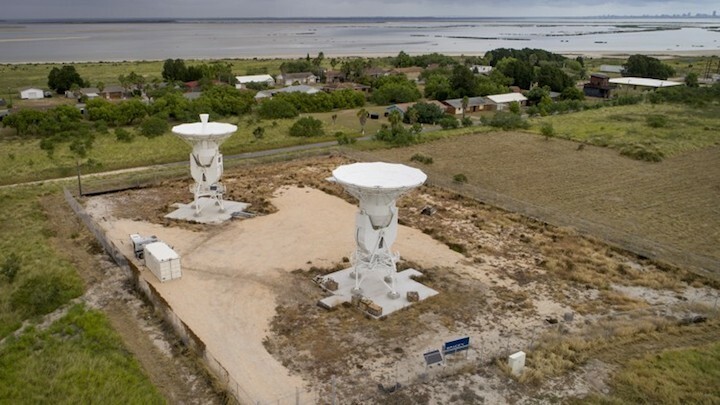 The recently installed antennas at Boca Chica are expected to be operational next year — although they’ll initially track flights blasting off from elsewhere — and the company also indicated development of the overall launch complex should pick up. “Even as our teams worked to modernize and repair our launch complexes in Florida so that we could reliably return to flight for our customers, SpaceX invested $14 million into the South Texas project,” said Gleeson, the company’s spokesman. “Now, with our launch construction projects in Florida wrapping up by early 2018, SpaceX will be able to turn more attention to our work in South Texas,” he said.